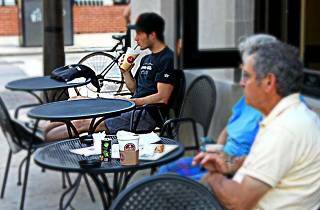 An emerging star in coffee, Saxbys boasts a bevy of locations in the city (with more on the way). 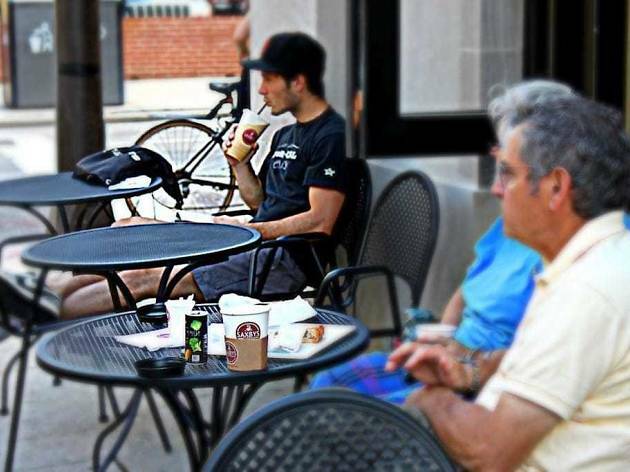 This location within a block of Rittenhouse Square boasts window seating perfect for people-watching, and plenty of tables for studying or work. It’s the best of fast-casual with a sprinkle of local flair. The espresso drinks only barely outclass Starbucks, but its cold brew tastes near-perfect.